Sales Navigator is now Mapview! We are very excited to announce that Sales Navigator has a new look and a new name – Mapview! Our team has spent a great deal of time trying to arrive (and agree) on the perfect name for this app that does so much! Why did Sales Navigator change? First, we felt it was time to reflect the varying use of the app, whether it be for sales, service, strategic planning, personal travel or any other time someone needs to visualize information on a map! Since we’ve received feedback from so many people worldwide with so many unique uses of the app that were not related to sales functions, we didn’t want users to limit themselves to thinking that this app can only map prospects and clients. Instead, think of the app as mapping any asset in the field associated with an address or latitude and longitude coordinate. We think Mapview is the perfect name that sums up the main benefit of the app! Secondly, we had growing confusion between our Sales Navigator app vs. a similarly named app. Even though our app was launched long ago, we don’t want to cause any further confusion! And finally, as we create more and more integrations with CRM programs such as Salesforce and Oracle Sales Cloud, we didn’t want to continue creating separate app versions. 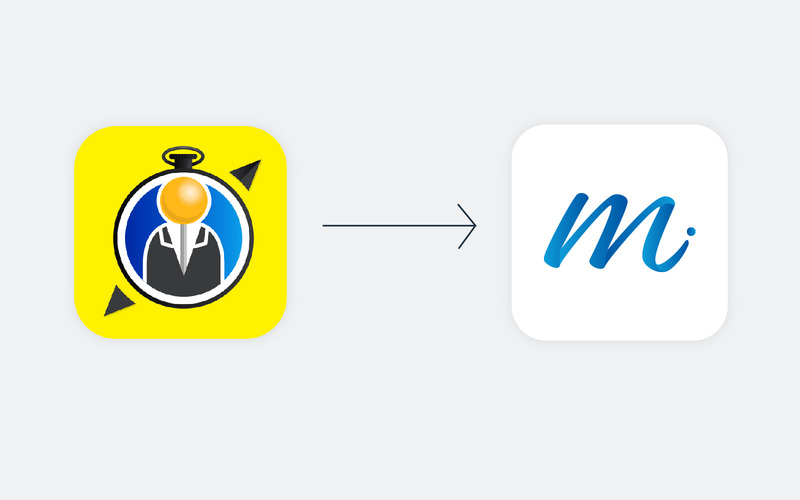 With the new Mapview app, all users can access one single application and once logged in they will experience any integrations which are associated with their Mapview account. However, please note that our current Salesforce users should continue to use their current Sales Navigator for Salesforce app with the blue icon for the short term until they receive instructions otherwise from their Salesforce administrator. Just download the latest update to start using Mapview. Once launched, your Mapview app will look the same as you are used to and your current subscription will remain unchanged. We have combined our previously separate Salesforce and Oracle Sales Cloud CRM integrated versions into one Mapview application. When you update to the new version, you will notice that the sign in page provides options for those users to log in as well. Thank you for using Sales Navigator and now Mapview! Please bear with us as we transition to our new name. We appreciate your patience and understanding! Try Mapview for free on the iTunes App Store. Looking to purchase Mapview for a large sales team or curious about a CRM integrated version? Request a demo to learn how Mapview can help your team.